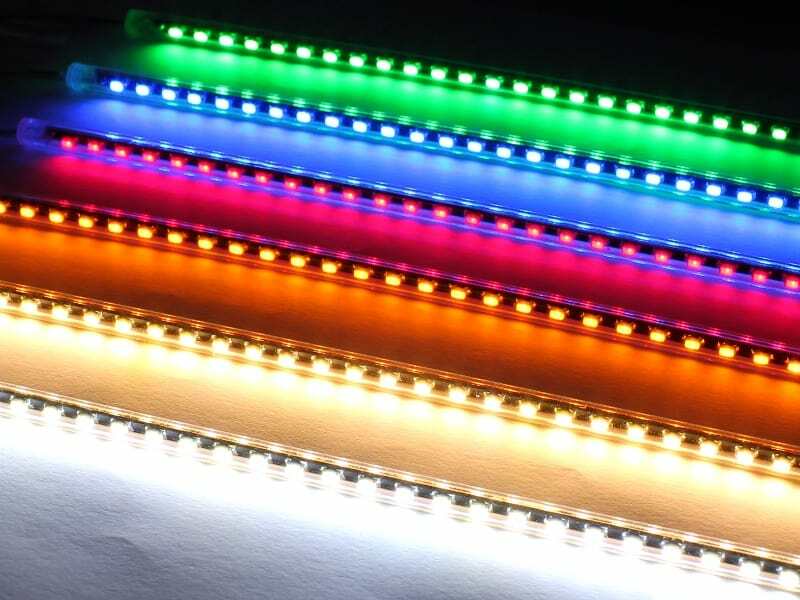 Jam-packed full of LEDs. 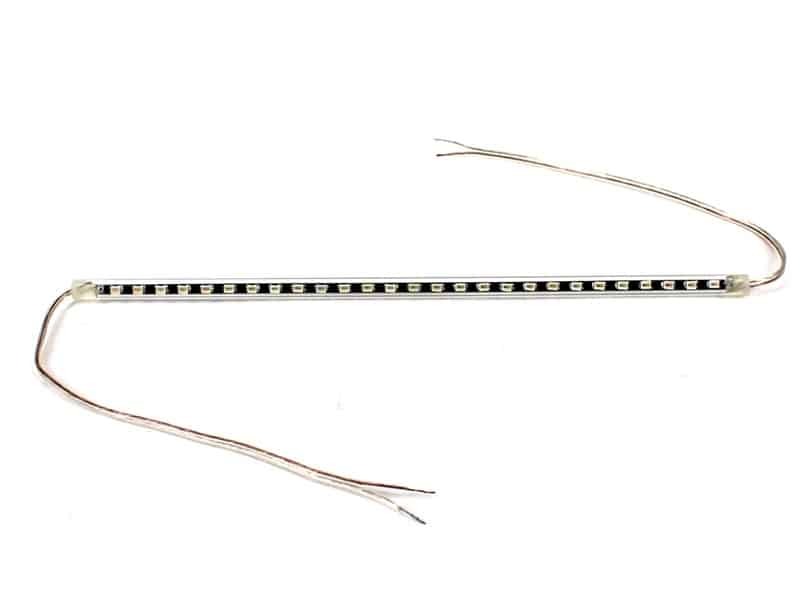 8 inches long, yet thinner than a pencil. Its got wires coming out of both ends, so you can easily daisy-chain multiple tubes together. Or if you just want to use one tube, thats fine too. You can leave the power wires on the other end hanging, or snip them off. Just hook up the power wires to 12 volts, and you're good to go. Each tube draws about 120 mA (power consumption). 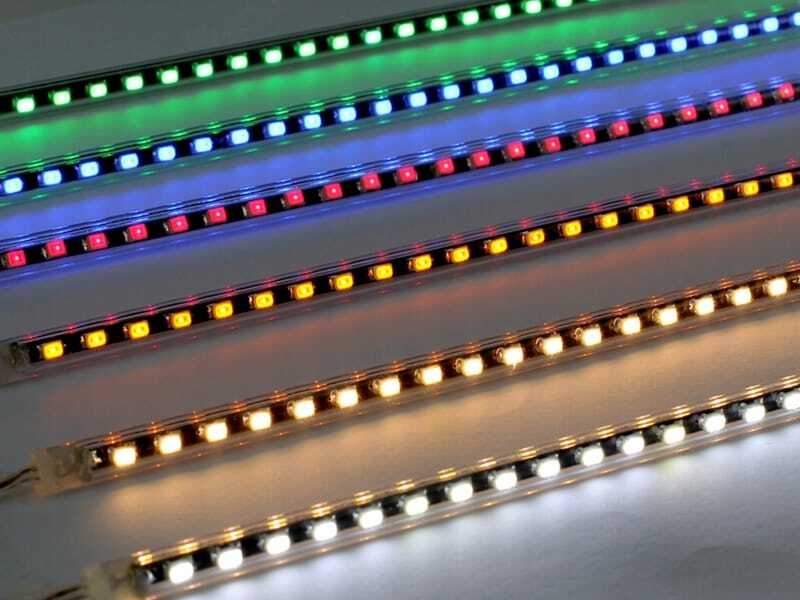 Available in 6 vibrant colors: Cool White, Warm White, Red, Blue, Green, and Amber. 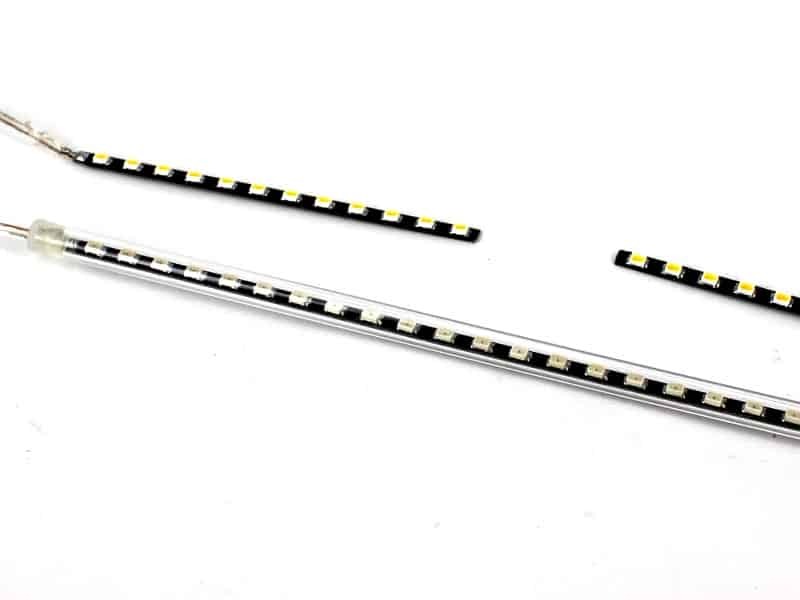 And if 8 inches is too long, you can easily cut it down between every third LED. 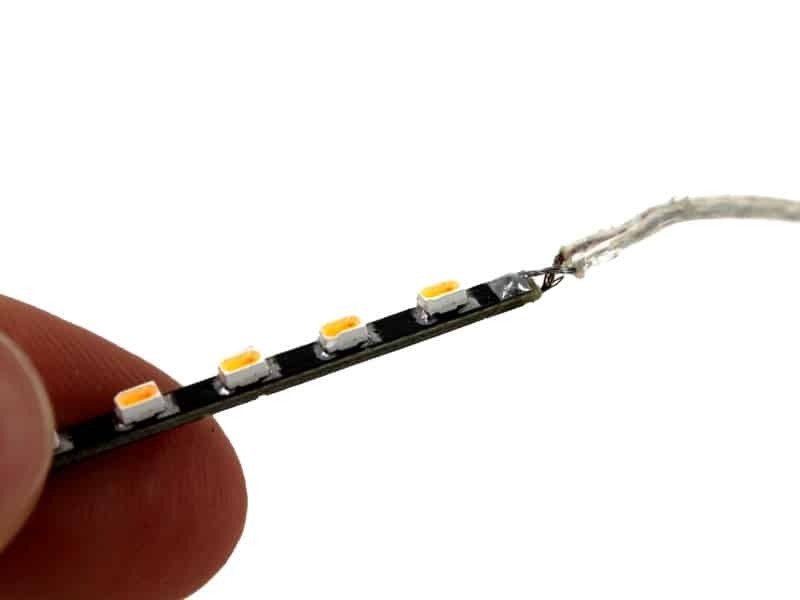 A set of 3 LEDs takes up about 3/4 inch (2 cm). 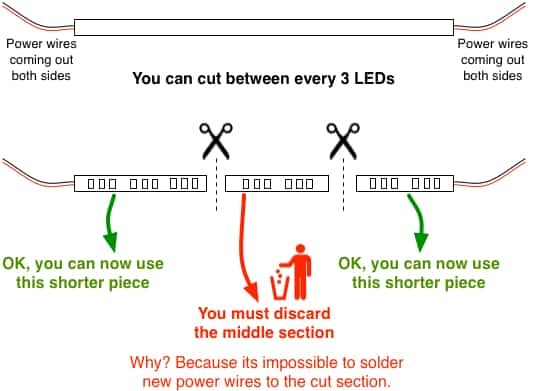 When you cut it, you'll be able to re-use both ends, but you won't be able to solder new wires to any internal segments. Wire length: 6 inches of power and ground wires come out of both ends. The gold wire is power (12+), and the silver wire is ground (12v-). 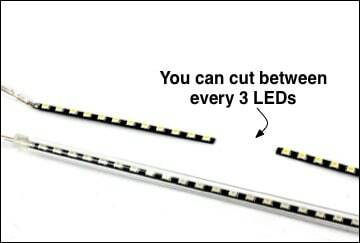 If 8 inches is too long for your project, you can easily cut the circuit board down between every third LED. 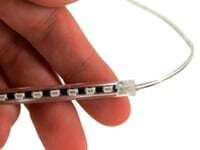 A set of 3 LEDs takes up about 3/4 inch (2 cm). Our customers have asked 23 questions about this product. I just finished rebuilding the light bar in the spoiler wing on my 2013 Goldwing using these. 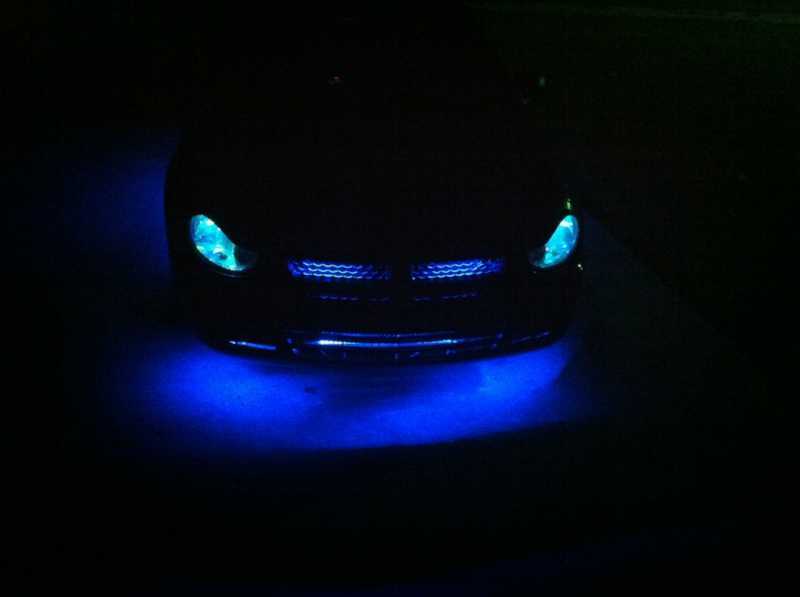 I removed them from the tube and surface mounted them, using one in the center for a tail light and one above and one below as brake lights, they are awesome. Also mounted two of the small amber modules one left and one right for turn signals, very impressed with the outcome. 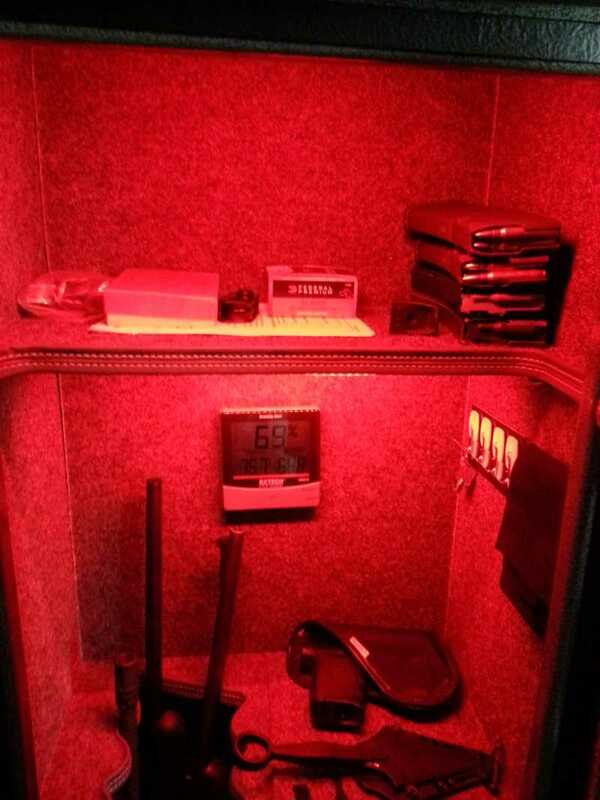 Bought two of the light tubes/bars in part to put in my gun safe as an experiment (red). Wish i had got more at that time , so I'm back getting more. They are very bright and work well, can be hidden easily under shelves ect. If your a DIY person pick some up and play. 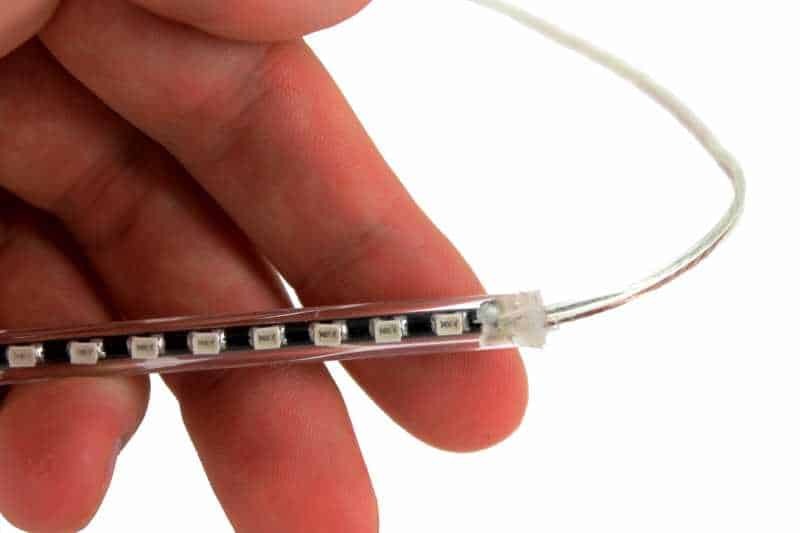 These LED lights are small and bright. 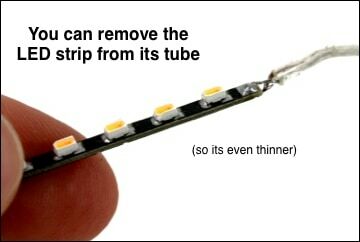 The diameter of the tube is closed to the size of a miniature glass fuse or miniature ceramic fuses about 6 mm. Chassis-Type Fuse Holder 270-739 from Radio Shack is perfect holder after bending the metal wire contacts. 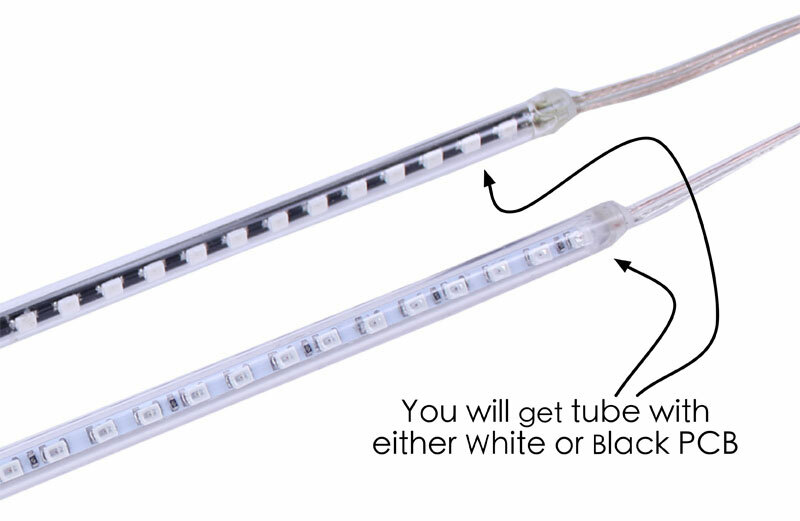 Once mounted on the fuse holder the tube can be rotated 360° to provide some control to the amount of light. 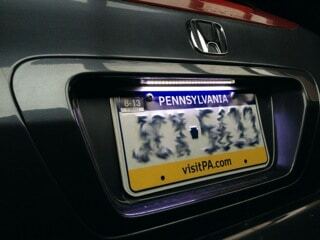 I used the setup for ambient lighting in my car to provide light in the foot well. Rotating the LED either forward or backward, front or back I have some brightness level control without using a dimmer. 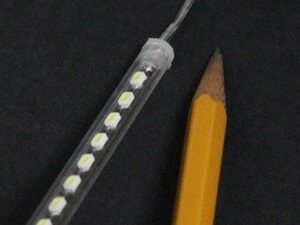 These things are really small, smaller than a wooden pencil and have a light out put greater than the LED strips, tubes, and cathodes that I've seen. This little tube is very small and very bright. You could use it for a variety of applications. This will fit almost anywhere and give off more than enough light for whatever need you might have.